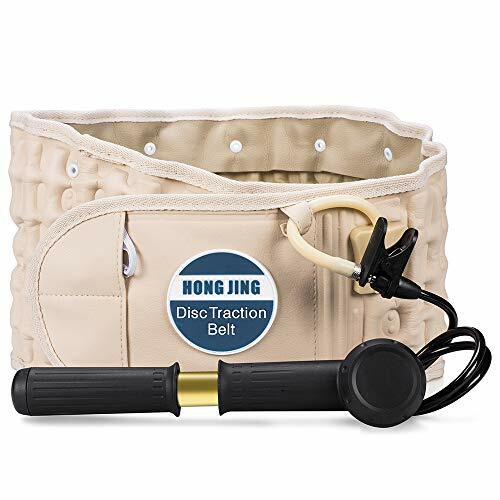 DR-HO'S 2-in-1 Back Decompression Belt comes with an arthritic friendly, easy-to-use hand pump, instructional DVD and a bag so you can take your belt and pump on the go. 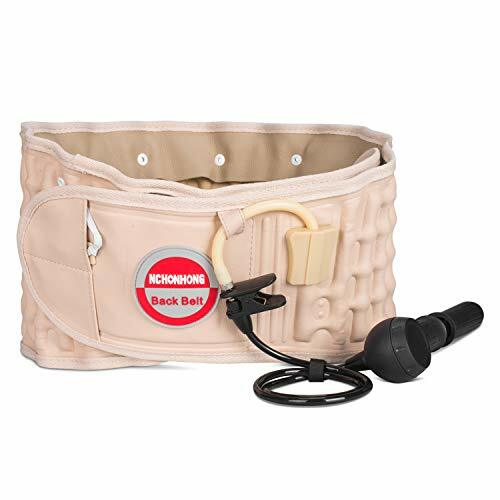 The belt expands vertically when inflated to stretch and decompress pressure off of your aching back. Get the effect of an inversion table without hanging upside down. 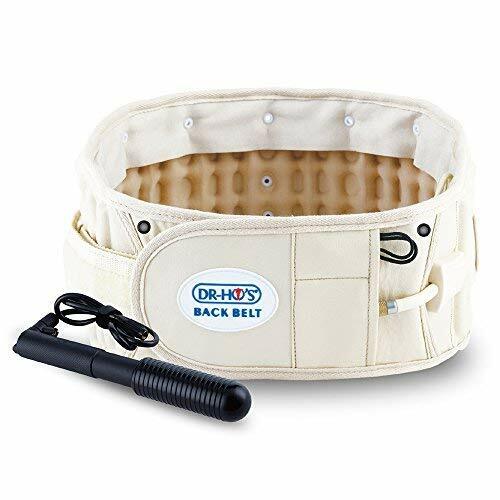 This belt can also be used deflated as a support belt. Get relief while sitting, walking, driving, playing sports or traveling. 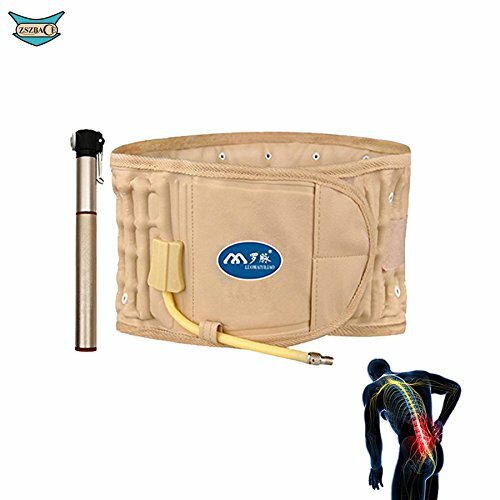 Get relief for your back pain, hip pain and sciatic pain. 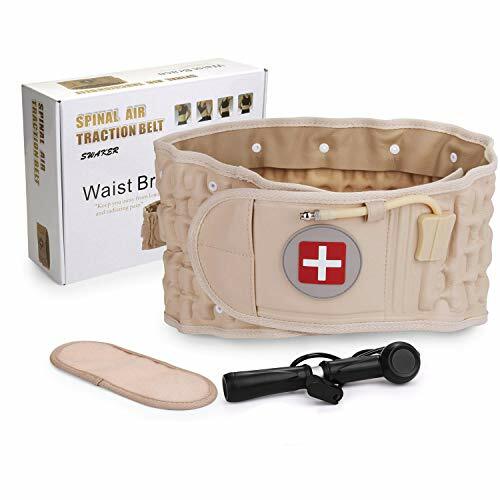 Helps to relieve tension and stiffness in the lower back, as well as pain related to bulging or herniated discs, degenerative discs, scoliosis, and related leg pain. Details you may concern:1. This belt is designed to be easy to use by yourself. 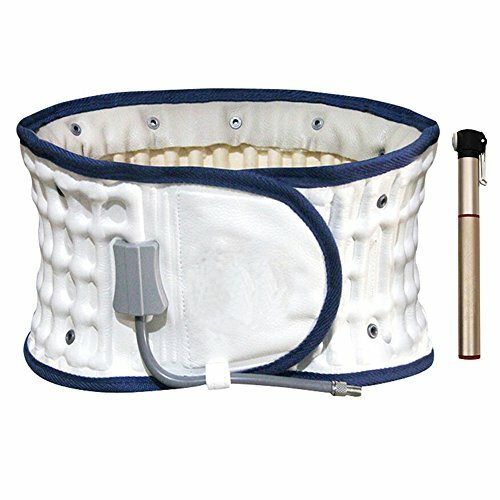 It wraps around the lower back and is held in place by velcro.2. There is a clip that helps you to line up the hand pump with the inlet hose for the belt, and to keep them aligned while you pump it up.3. The hand pump to inflate it was much easier to use than expected.Use Directions:1. 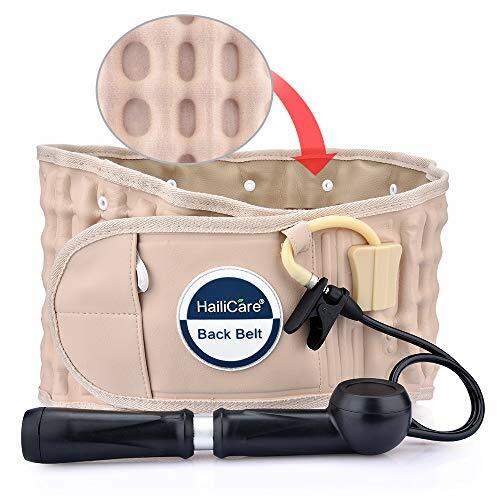 Wearing belt between the lower rib cage and hip - round your lower back, attaching the belt firmly by velcro. 2. Clip pump onto the air valve of the belt, and then inflate the belt by pumping the pump. 3. The most effective traction effect is obtained when the air pillars of belt are fully inflated. 4. 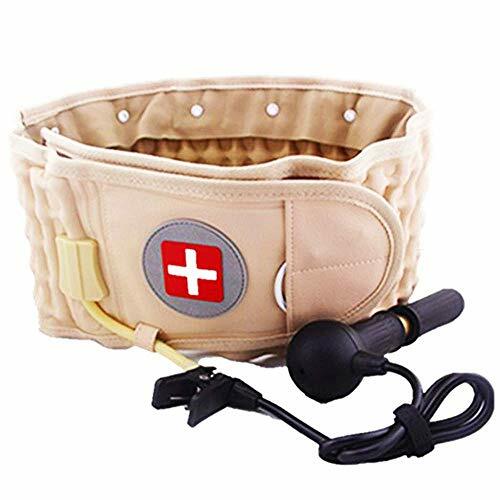 It is recommended that initially the belt be worn for 30-60 minutes at a time, if no side effects or pain is experienced then the usage tine can beperiodically extended. 5. We suggest not wearing the belt when sleeping. 6. Before taking off the belt, let the air escapes, ensure the belt is fully deflated then loosen the belt. Any probelm about the product, please contact us. we will give you the best solution. 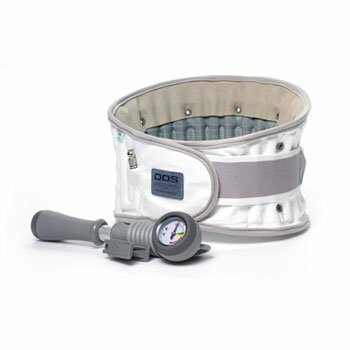 Our new G2 offers consumers an affordable retail back belt to decompress the lumbar spine with the same patented superior technology found throughout the DDS line of products. 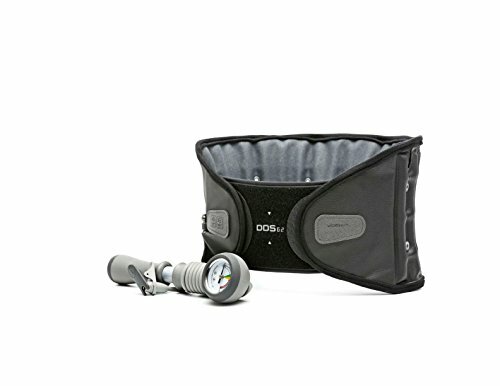 The DDS G2 Decompression Belt's sleek design can be comfortably and discreetly worn under clothing allowing an active lifestyle without compromise. Hand-Air Pump included.